Hello! Earlier this month The Cut Shoppe did a team up with Neat & Tangled! I had a lot of fun created a layout using some of the gorgeous stamps that Neat & Tangled makes. I'm really proud of my layout because I'm not the world's greatest stamper. I decided to embrace my messy stamping skills while making this page. 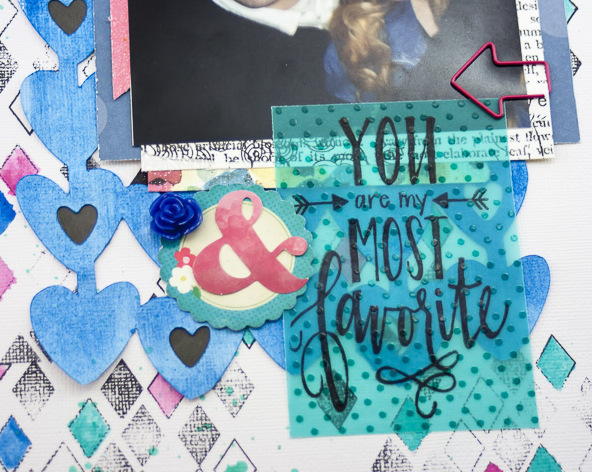 For this layout, I used The Love Club cut file with "My Favorite" and "Diamonds Stamps". First, I stamped the diamonds stamp onto white cardstock. I colored them in randomly with watercolors! I didn't have a specific color scheme in mind, other than happy colors. Next, I cut out the hearts from The Love Club and painted them the same blue as I used on the background. I trimmed the ends of cut for a custom look! I then used Staz-On ink to stamp "My Favorite" onto teal vellum. So fun! I love how the stamps and cut files look together! 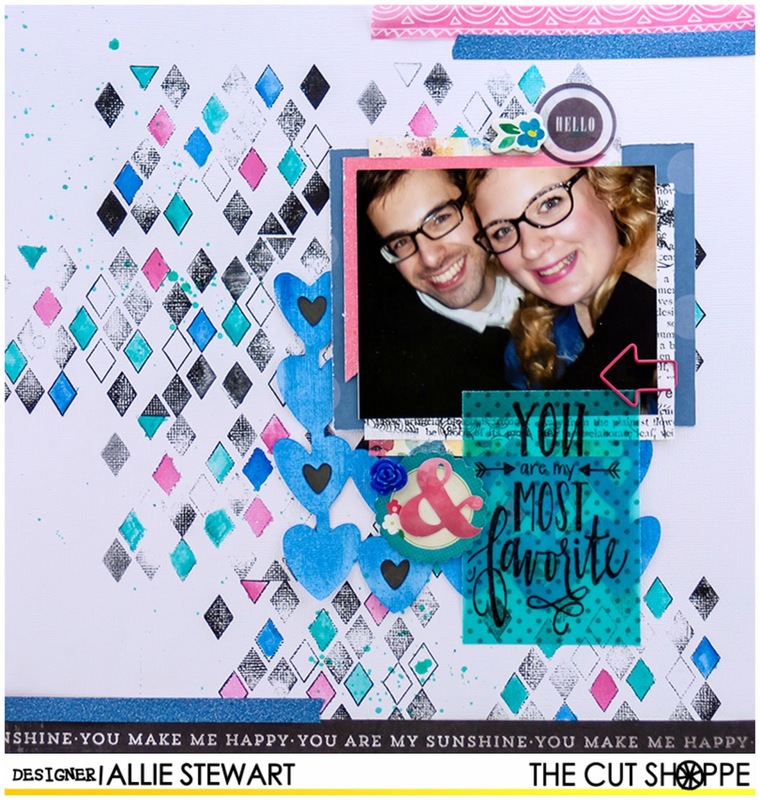 Stop by The Cut Shoppe blog to see the other fabulous layouts from this fun team up! Awesome layout Allie!! I love the fun look you created with the Triangle stamps! !